Transform Your Dining Room in 4 Easy Steps - Design Connection, Inc.
It’s officially September! Thanksgiving is in two months. TWO MONTHS, PEOPLE! Will your home be guest-ready in time? Check out these quick and easy design tips that will update your dining room just in time for the Holidays. Photo Source: Design Connection, Inc.
An easy and budget-friendly way to make a drastic difference in your dining room is by updating your dining room chairs. 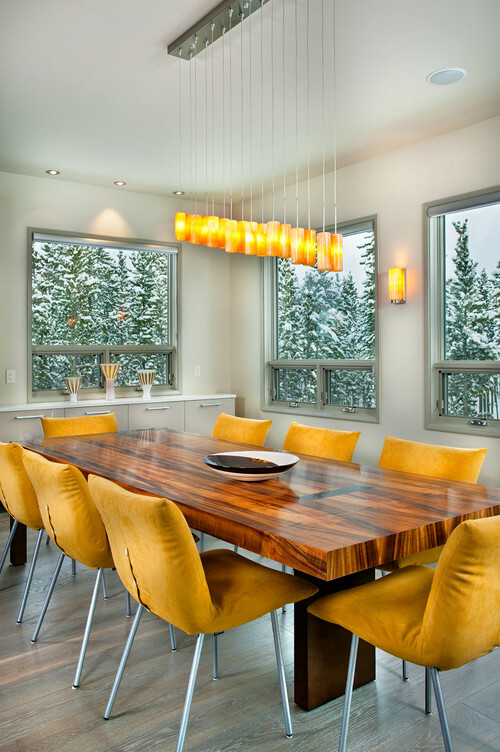 Mixing wood with different metals and materials is a home decor trend that allows you to keep your existing dining room table while giving you so many design options! By simply changing out the chairs, you can play with different style trends that will update your décor without completely overhauling your space. Your chairs don’t need to all be the same in order for them to blend well together. Mixing up materials can give your dining room a unique look and will allow you to control the vibe of your space. 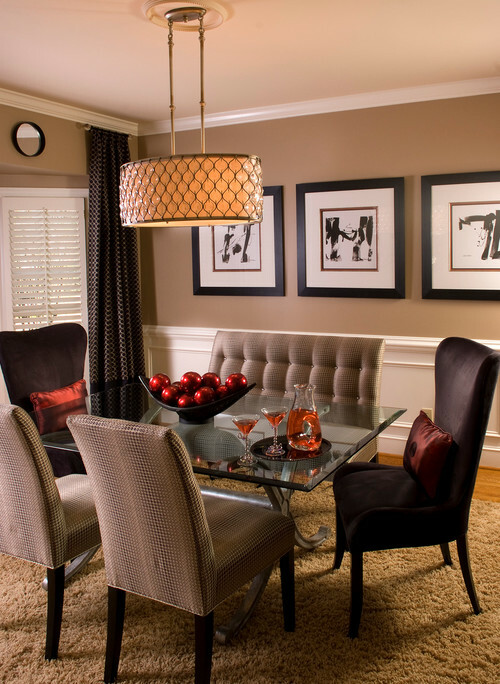 Do you want your dining room to have a formal look yet exude a comfortable feel? Mix it up! Selecting different chairs for the table ends creates visual interest and will add an extra flare of style and comfort to your space. At Design Connection, we pride ourselves on providing our clients with beautiful, quality, Made-In-America furniture, like these gorgeous dining chairs from Stanley Furniture. We can help you select the perfect dining room chairs for your home. Call us today! 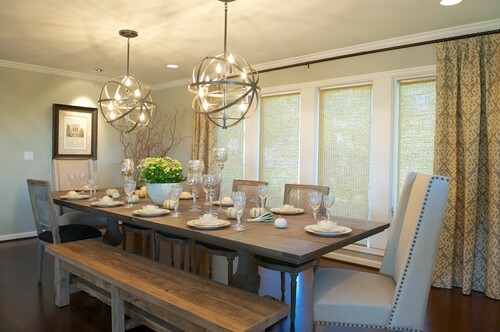 Updating your fixtures will have you and your dinner guests seeing your dining room in a whole new light. 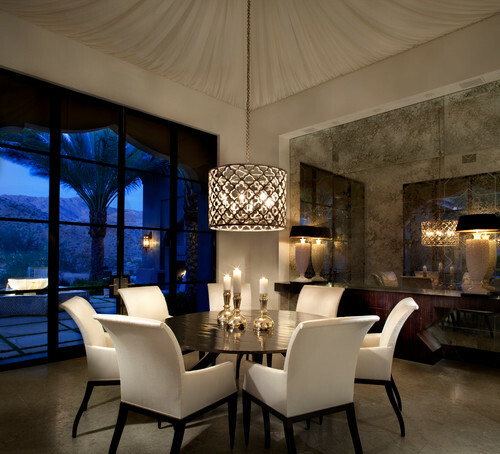 For more design inspiration and dining room lighting ideas, click the pic below to peruse our Lighting Ideabook on Houzz. Don’t waste your weekend away by touring all of the lighting stores in town–you can shop all of the latest lighting designs and up-and-coming trends comfortably at our in-studio design center. Let us know if we can help! 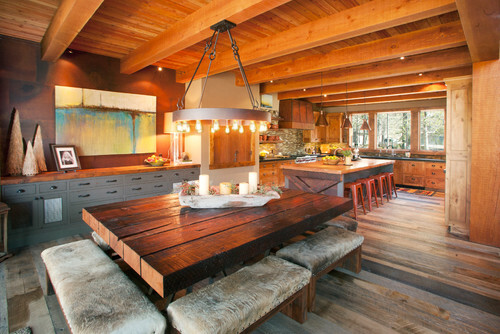 By updating one or two pieces, you can drastically change the look of your dining room. If you want to shift the style of your space from traditional to transitional, replacing your china cabinet with a buffet or sideboard will welcome your dining room into 2016. 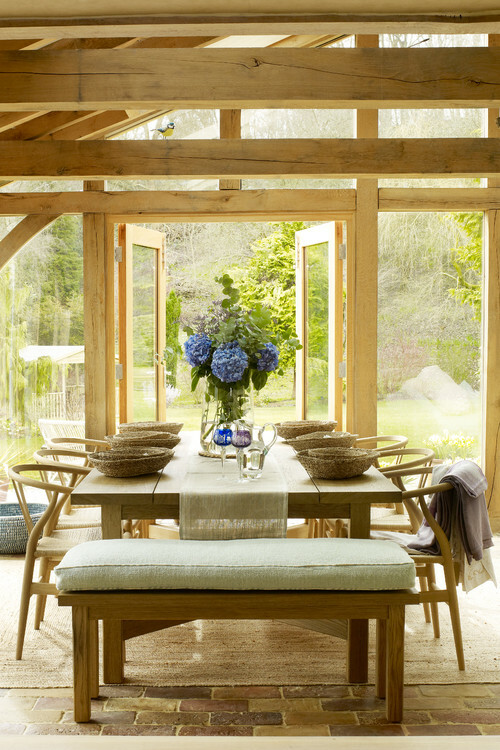 Do you want a new furniture piece for your dining room but you’re not sure where to start? We can help with that, too! We’ve got access to all of the latest design like these gorgeous buffets from Lort’s Furniture. Regardless of your style, we can help you find the perfect piece to complete your dining room just in time for Thanksgiving. Mirrored cabinetry is all the rage, as seen pictured below in this classic black and gold dining room by Design Connection, Inc. Adding a statement piece above the sideboard can frame the space while featuring your personal style. Mirrors can add so much character! Many times in my interior design projects, the inspiration for fabrics, colors, and textures are taken from the client’s favorite canvas or print. 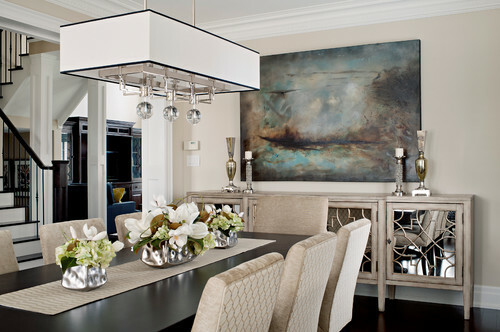 The cool greys, whitewashed woods, creamy whites, and shiny silvers in this dining room below are all tied together by the painting placed above the buffet. Uttermost is a great go-to for accessory inspiration. Here’s a few of their latest mirrors and wall art that caught my eye. You can do this! You can update your dining room and have a stylish space that features current trends and highlights your personal design style. If you need some help, LET US KNOW! Custom furniture and upholstery, wood pieces and draperies need to be ordered NOW for guaranteed Holiday delivery!